Alexandria Ocasio-Cortez, the newly elected U.S. Representative for New York’s 14th congressional district, earned some serious nerd cred this month when she casually quoted Alan Moore’s Watchmen to her gazillion Twitter followers. Now, the young, outspoken politician is again demonstrating her pop culture bonafides, this time in response to some dumb comments from The West Wing’s Aaron Sorkin. Twitch. Livestream. Donkey Kong 64. Throw these words at just about anybody else in Congress and watch their eyes glaze over. 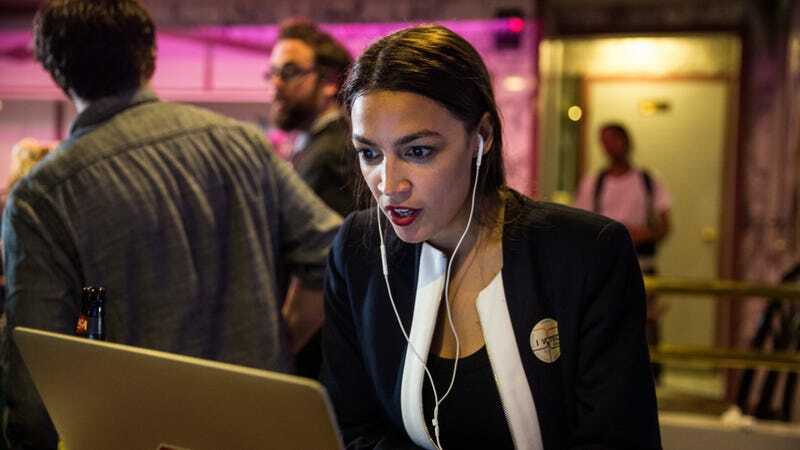 Ocasio-Cortez, on the other hand, doubled down on her commitment to transgender rights by joining a DK64 Twitch livestream that sought to raise money for Mermaids, a charity supporting gender diverse and transgender children. The campaign was led by YouTuber H.Bomberguy (née Harry Brewis), who just about jumped out of his chair when Ocasio-Cortez called in to chat about the government shutdown, the transgender community, and her own gaming past. She rides for the N64, by the way, and seems particularly smitten by Pokemon Snap. The campaign, per CNET, raised more than $340,000 for Mermaids. As for Ocasio-Cortez’s participation, it helped illustrate the “zero fucks” she gives about pushback from either the right or the left. As journalist Peter Sterne put it on Twitter, “There are 2 things that people really like about @AOC: she has bold, uncompromising political ideas; and she tries to meet people wherever they are (Twitter, Instagram, protests, community meetings, Twitch streams) to talk to people about those ideas.” Hell yes.